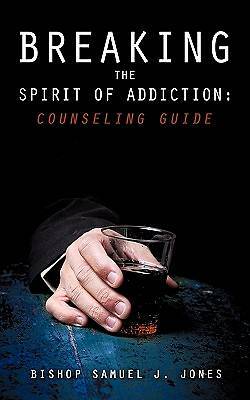 About the Book"Breaking the Spirit of Addiction: Counselor Guide" was written to provide pastors, Christian counselors and laypeople insight on the various addictions. The impulsive and uncontrollable nature of substance abuse and other addictions usually cause addicts and their families to experience devastating emotional and psychological consequences. This book helps counselors to identify the strongholds that addicts and their families struggle with and provide practical biblical based principles to overcome them.About the authorThe author, Samuel J. Jones, is bishop of the Good News Fellowship of Churches in Birmingham, Alabama. The Good News Fellowship is a mission sponsored by the Eastern Mennonite Missions of Salunga, Pennsylvania. Long before he became bishop, Jones worked successfully with hundreds drug addicts for more than 17 years. He is president and founder of Highways & Hedges Outreach Training Center, which began in Kankakee, Illinois, and Milwaukee, Wisconsin, and is now located in Birmingham. Bishop Jones is a master trainer for the National Center for Fathering, where he trains facilitators across the nation to facilitate classes to "return the fathers heart to their children." He is a former project director of the Birmingham Fatherhood Initiative at the University of Alabama-Birmingham, where he worked weekly with more than 250 fathers struggling with some type of addiction. Bishop Jones is a host of a national television show called "Families in Focus: From a Christian Perspective."